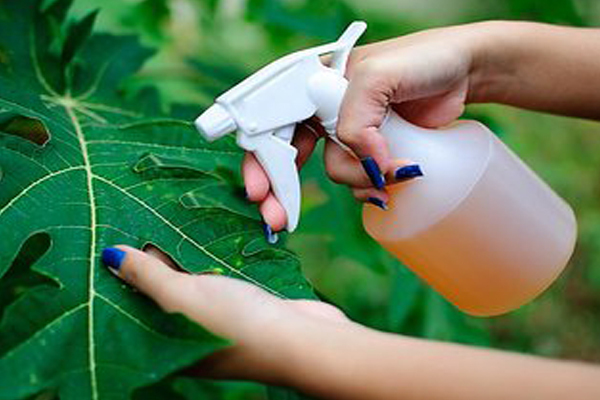 Backed with a team of highly qualified professionals, we have introduced premium quality grade of Bio Pesticides to provide proper pest management solutions. We are manufacturing the pesticides by concentrating and growing naturally occurring organisms, at our end. We are considered to be one of the best plant protection products, and make sure the level of quality for these products are always kept high. Being the customer oriented organization, we are offering quality Bio Pesticides, Organic Insecticide Formulations etc. offered under this category with the supervision of our experienced pest experts. For manufacturing organic pesticides we are procuring the required natural ingredients from authorized and reliable vendors. When the production process is completed, our quality controllers are properly examine the offered products on grounds like effectiveness, toxicity, safeness, composition and shelf life to make sure their perfection. Our clients can avail our array of Bio Pesticides in different quantities and packaging types as per the needs at an affordable price range. All Copyrights © 2019. Jaivik Crop Care LLP.